You see, it was no more than 2% until mid-May. From January until mid-May, I had been unable to do more than 2% of that — well, granted — enormous script. In addition to my frustration over my own lack of progress, omgfloofy’s (wise) decision to distance herself from the project and other (translation) projects piling up next to me left me in a highly demotivated state. That’s when a miracle happened. Supremezerker contacted me to inform whether we could use an extra hand since he had time to spare anyway. Furthermore, he came fresh off Zero and was working his way through Ao, so his earnest offer was a blessing in disguise. That same afternoon, I introduced Zerker (or ‘Laurafag’ for friends) to our working environment and within those five weeks, he bumped that percentage from 2 to 15% pretty much on his own. If it wasn’t clear from that progress, he thoroughly enjoys working on the game. And his enthusiasm is contagious. The strings are roughly split in two sections: the scenario and the text. Scenario encompasses everything that happens in the game world, primarily dialogues. Text contains the information you access through menu’s and your — in this case, detective — notebook, such as recipes and the monster guide. While that is a lot of work on its own, on which omgfloofy started, I started on exactly the ‘opposite side’ of the game. The scenario is split into collections of areas, like Crossbell City, the towns you go to, the roads you traverse to get there, the dungeons you discover, et cetera. 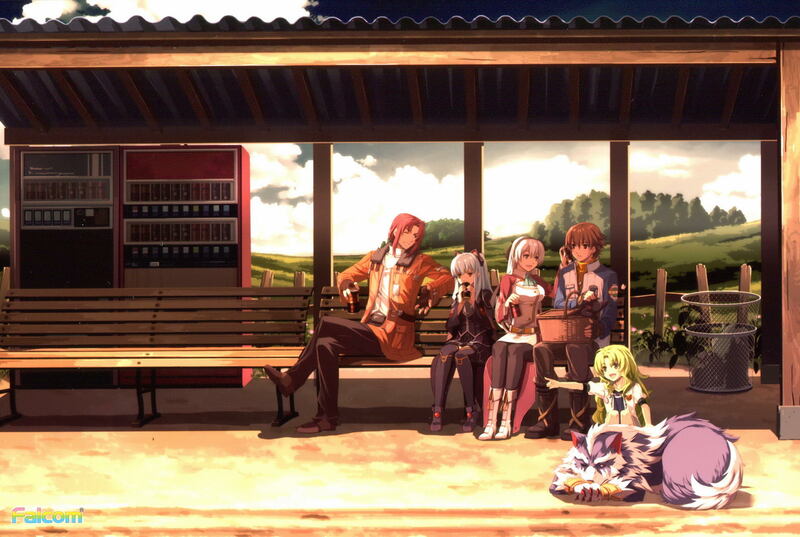 Crossbell City is further divided within its districts, such as the Station Street and Central Plaza, which you may have seen during Trails of Cold Steel II‘s Divertissement. And within those districts, there are separate rooms for buildings, like the S.S.S office (that’s the file — and by far the largest room in the game — I’m currently working on) and shops and restaurants. Each of these are further divided into day, night and a special event scenario. All Kiseki games — from Trails in the Sky FC all the way up to Trails of Cold Steel II — are structured similarly. This is how you end up with hundreds of files. The team that worked on the translation already kindly sorted the sheets so we had no problem figuring out what is what. Speaking of that team, what’s up with Ao? After finishing translating Zero, the team (by which I mean hacker flamethrower and translator Guren no Heya Kara) continued working on Ao. At this very moment, the translation for Ao is for 43.82% completed. 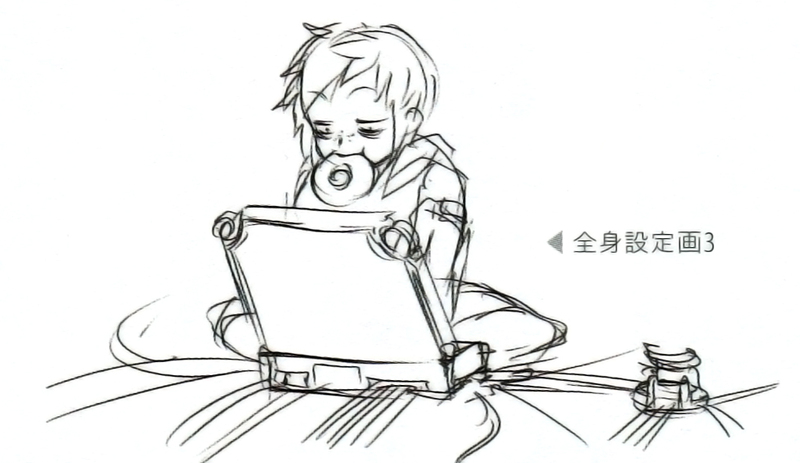 You can keep track of Guren’s progress on his blog. Guren has a donation button on his website, so if you appreciate his outstanding efforts, please let him through that button or at least a word of thanks. Wait. Hold that Justice Magnum. Before I forget: I’ve been thinking about renaming the game from Trails to Zero to Trails from Zero. I would like to ask those who already played the Crossbell duology to weigh in on this suggestion. If you wonder what led me on this path, allow me to remind you of the promotional trailer for Ao. I’m not linking the teaser here due to spoilers, and I’m expecting you to maintain a similar spoiler policy in your comments under this article. Look forward to the Destination Story! Great news! Good that you are motivated in finishing this project, and getting 12% completed in less than 2 months. A rate like this has me fantasizing that this could be done by the end of the year, but 2018 if by far more realistic and easily worth the wait for quality of this calibur. np! That’s why I offered the warning! I’ve run into that with youtube as well. Glad to see the project was reinvigorated and that you’ve been able to make some real progress recently, looking forward to the full result and thanks again for all the hard work, it’s very much appreciated. As for the title, I can see the aesthetic appeal with calling it Trails from Zero, but worry about any confusion regarding the change, a lot of other people call it Trails of Zero still for example. Ultimately not a big concern though so I’ll support whatever you or the majority decide. Glad that the project goes smoothly so far. Also, work on your own pace, no need to rush. We all know you guys are busy. We really appreciate that you guys work on this translation. About the title, I do think Trails from Zero makes more sense than Trails to Zero. Amazing to see how far along this project is coming along I truly admire this time for putting this much work into this project that many people want to experience, I feel like once it’s out there it will definitely all be worth it in the end! Good luck to you guys!!! You rock Zerker! This is the kind of news I think we’ve all been waiting to hear. It’s exciting to think we’ll have both Trails from Zero and Trails to Azure to play back to back at this rate! Honestly, I find your naming scheme really unnecessary. The naming scheme has been “Trails of” this whole time officially, and there’s literally no reason to change it to “from” or “to”. Using “of” is linguistically similar and conveys similar meaning while also being open to other interpretations. Not to mention the fact that people seeing the name of the game online could even find it confusing and think it’s totally unrelated what has always been the “Trails of” series. It could be an entirely new series for all they know. So for the sake of consistency across the series, and the fact that there really is no reason to change the naming scheme because the “of” serves its purpose just fine as a linguistic device in the title (arguably better), and as to not cause confusion to everyone, I really think it should just be Trails of Zero. And I’d make the exact same argument for Azure. Well for some reason I had a lapse in thought and forgot that Trails in the Sky is called what it is. I guess it really doesn’t matter all that considered. But since I can’t edit or delete my comment, this will have to do. A common misnomer, it’s all good. But yes, It is simply the “Trails” series. Yup, as long as Trails and Zero are in the title I doubt anyone is gonna mind lol. I’ll take the title that makes the most sense as long as thats the case. Great news! Thanks for the continued hard work. I can’t wait to see how and when this all comes together! Keep it up you guys! Don’t let arseholes bring you down and jeopardize your project! Ao and Zero are the only ones left for me to play. It will help a lot to undestand the story better. Soon we will get Sen no Kiseki 3 with Agate and Tita too. Dear translator. Amazing work! Got a question, is the translation is meant for the psp version or the vita version. Thanks! Glad to hear that the translation project is still ongoing. Great work guys! Really looking forward to play this game in english. Thanks for all your hard work guys! Really looking forward to the end result. Glad to hear this is still at work! I would think that for what to call the game, I would probably stick to what’s been officially published, and I seem to recall Tokyo Xanadu’s English translation called it “Trails to Zero”, though I may be mistaken. Mind you, Tokyo Xanadu was published by Aksys and it has a couple inconsistencies with the Xseed localized games, such Mishy(Xseed)/Michy(Aksys) but they’re relatively minor. Thank you so much for doing this! I really want to play this game in english, having played all the other games on the PSP and PC, this arc is the next I still couldn’t play.